The training body for Bio-dynamic farmers. For Bio-dynamic certification under the Demeter logo. Provides training in Biodynamics to gardeners and smallholders. Australian Biodynamic Development Fund Inc.
A charitable fund set up to assist in the development of a Biodynamic training centre and to fund scientific research. 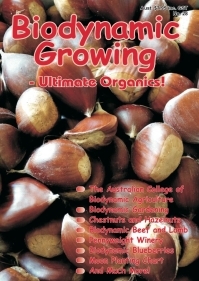 Also provides training in the Australian Demeter Biodynamic method.